Have you ever been to Malang? Do you like it? If you do, you might also consider visiting Bogor too. A West Javanese city which has long been known as the city of rain. According to what explains that Bogor is raining often, obviously, it is also known that the city is famous for it’s fresh air and it’s wide variety of natural tourism choices. Not to mention Gunung Pancar, Bogor’s current hyped natural tourism destination. We all knew the infamous Bogor Botanical Garden. We’ve all been there. Or The Jungle Land parks with pools and fun rides. But have you ever heard of Gunung Pancar? The outline of the destination is mostly about mountain and the forest of pines. The breeze feels cold, but not too cold to make you shiver, and warmer in the afternoon. It is located in the tiny town of Ciburial, far aside from the city centre and vehicle hustles. In addition to the general natural attractions like trees and animals, Gunung Pancar also offers pilgrimage tours to ancient graves. The site allows us to know and learn ancient history by names of the graves displayed like Raden Lawulung, Ki Mas Bungsu, H. Dalem Putih, Raden Surya Kencana and Kalijaga. If you are lucky, you can also witness the locals doing art shows and religious ceremonial events that will only be held at certain times. Yes, also visit Things to Do in Cibodas Botanical Garden Bogor. 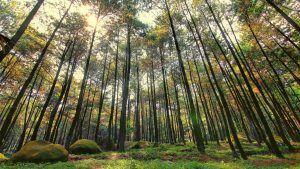 What to do in Gunung Pancar Bogor? 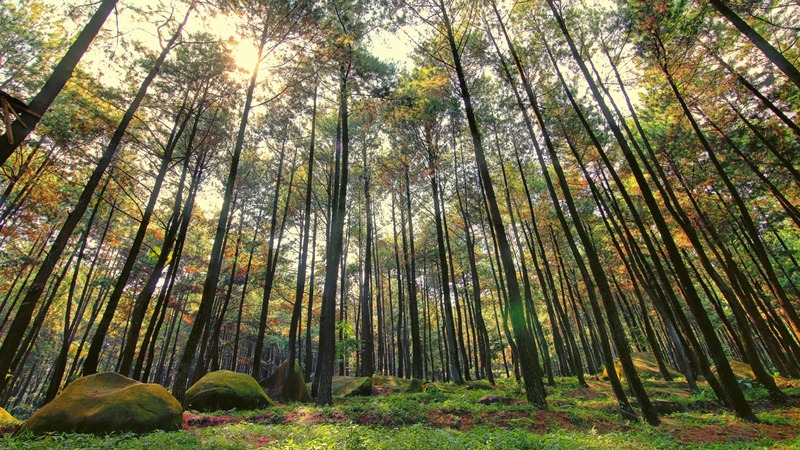 To simply put it, Gunung Pancar offers a wide variety of natural trees like pines, rasamala, puspa and rattan. There are also some free roaming inhabiting animals like monkeys, wild boars, gibbons, nettles and some caged birds like eagle, red jungle fowl, finches and starling. It will all please your eyes and increase your nature awareness. Make the best out of it. The site known for also provides a non-steep hiking trails that is suitable for hiking beginners. Horse that can be rented and ride to get around the site are also provided at low prices. There will be guides who will guide you. Yes, you read it right. Spot an open tennis court on site that can be rented for you to play. As weird as it may sound, imagine playing tennis in the middle of the forest. Make sure to bring along sport shoes if you plan to come to play for comfort. Outbound as a feature of a natural tourist destination may sound too general but still worth trying somehow. Cold breeze and heart pumping attractions are made long for each other. What to do in Gunung Pancar if you are hungry? A good amount of caffeine over a quick brunch after a sweaty session definitely won’t hurt. Spot an open coffee shop set provided by the site for you to recharge. How beautiful that will be to get your wedding pictures taken in the middle of pine trees? You might as well consider holding a wedding party there too and be ready to get a popping green portrait displayed in your new and couple’s living room. Gunung Pancar’s hot spring is undeniably the most favorite entertainment spot of all. It is known for containing and minerals which can relieve muscle sore and good for therapy. Unfortunately, Gunung Pancar couldn’t yet to provide enough facilities for camping matters, so you must be willing to bring and prepare your own camping needs. The fee may vary depending on the needs of both simple or fancy ones. Here are more about what to do in Gunung Pancar Bogor! Get on Jakarta Inner Ring Road – Pulomas Cawang St. – Raya Pantura St. – Cililitan Toll 2 – from Cempaka Putih Tengah St. to Ir. Wiyoto Wiyono toll in East Jakarta – Rawasari Sel. St – Jendral Ahmad Yani St.
Continue on MH. Thamrin St.. Take Siliwangi St. to Desa Karang Tengah St.. The destination will be on the right. Yes, also visit Romantic Restaurants in Bogor for A Perfect Date. Get on Cinere’s toll –from Wada Raya St. to Jagorawi in Curug – Pitara St. – Margonda Raya St. – Ir. H. Juanda St.